finally the AI sentiments were stamped and embossed. the final touch was some sequins and a glitter card base! 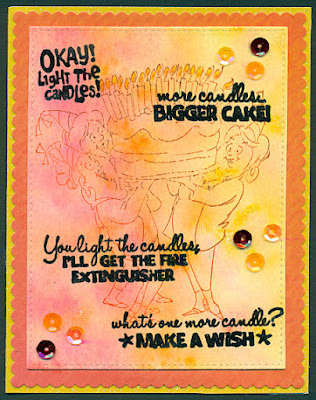 Great card, love the color and of course the stamp/sentiment. Thanks for playing our Girlfriends Challenge at 4 Crafty Chicks.